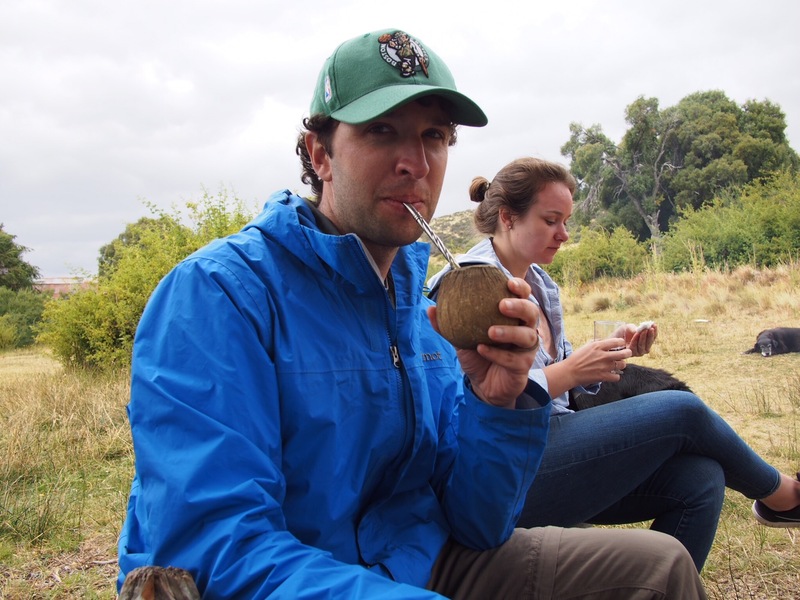 How to Drink Like an Argentine – jd – To Infinity & Beyond! Following up on our post about Argentine food, we thought we’d talk next about Argentine drinks. While the country is known worldwide for its red wine, there are several other beverages (alcoholic and otherwise) that are worth trying. Ok, we’ve got to start with this famous, robust red wine. The malbec grape was originally brought to Argentina from France where it found the perfect soil to grow, and plenty of bright sunlight and an arid climate in Mendoza. Argentina is the 6th largest wine producer in the world, and malbec accounts for over 80% of its annual vintage. It’s served slightly chilled. 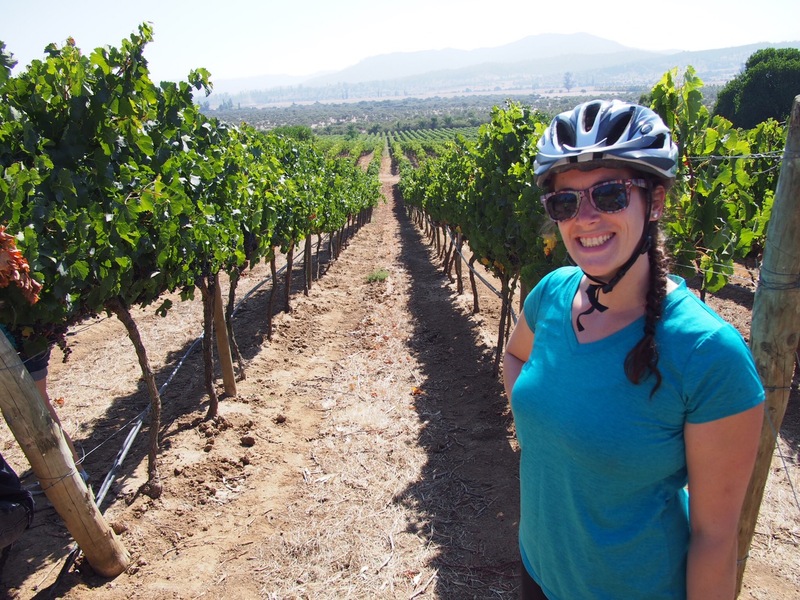 The best way to learn about wine is to tour the vineyards, either by foot, bike, or horseback! The second most important wine in Argentina is called torrontes. It’s a white wine that can be either sweet or dry. It grows in the sunny Cafayate valley in the north. While torrontes is not very well known in the United States, we really enjoyed this wine and would love to see more of it back home. 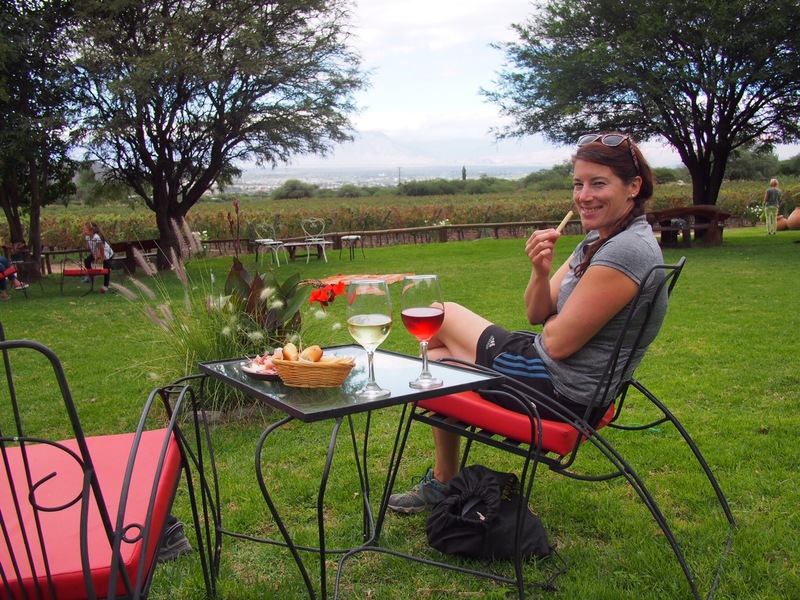 Torrontes on the left, malbec rose in the middle, and a happy Jenny on the right! Pronounced “jer-ba ma-tay” and called mate for short, this is a bitter tea that everyone drinks as if it’s going out of style. Traditionally it is drank from a small gourd, but people also use ceramic mugs, wood, or even plastic. You sip the drink from a metal straw called a bombilla while it is hot (but not boiling water!). It tastes like really strong green tea. The tea contains a stimulant called mateine, which may actually be caffeine but there’s some debate about that. What’s really special about mate is the social aspect that accompanies it. People frequently take their mate gourd and a thermos of hot water out to the park or the beach (or anywhere, really). Then they share the tea with their friends. There’s a specific ceremony that goes along with this. One person assumes the role of the cerbador (server) and he or she pours hot water into the mate and then passes it to someone in the group. That person drinks the gourd dry and hands it back to the cerbador who refills it and passes it to the next person in the group. It’s a really nice tradition that emphasizes sharing and gives everyone something to do while they hang out and talk. 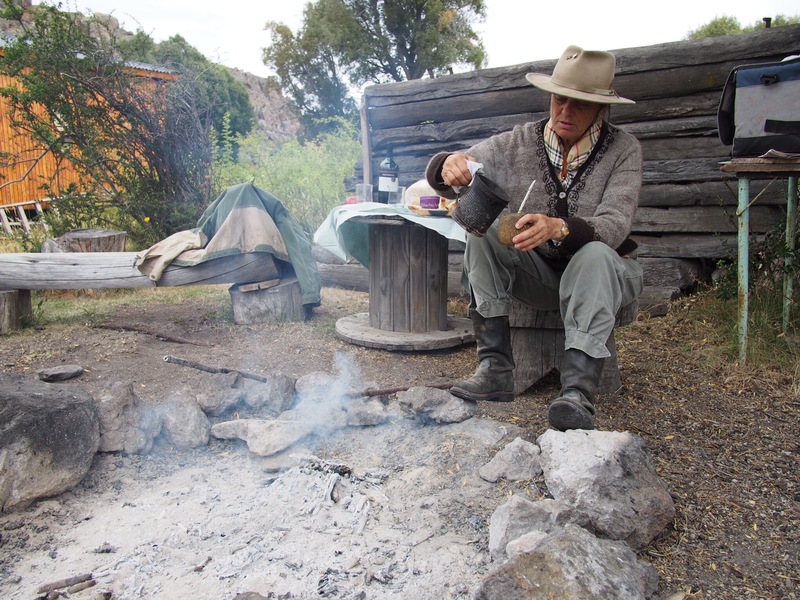 We brought some mate and a gourd back to the U.S. so expect to try it when you visit us! In a country so famous for its wine, it seems that beer is becoming really popular. The most common cerveza is a Bud Light style lager called Quilmes. It’s served in one-liter bottles, and though most people will tell you it’s terrible, they seem to drink a lot of it! In reaction to this, the craft beer scene is really taking off. The largest and most famous craft brewery is called Patagonia (can you guess where it’s located?) but smaller, local breweries are popping up in every city. This type of beer is called cerveza artesanal or “artisan beer”, which has a nice ring to it. 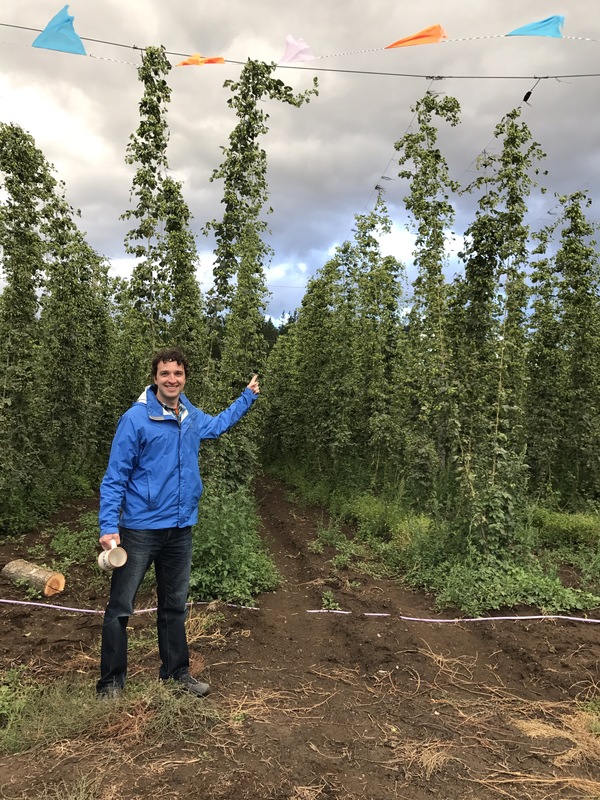 We met many people who were traveling to different parts of the country to take classes with master brewers or to attend beer festivals. I fully expect that we’ll find a vibrant and thriving craft beer scene on our next visit to Argentina. Fernet-branca is a bitter herbal liqueur from Italy and “Coca” is short for Coca-Cola. Put the two together, add some ice, and you have the national mixed drink of Argentina! Fernet is pretty terrible on its own: it tastes similar to Jagermeister. But mixed with Coke it’s not bad. So there you have it! 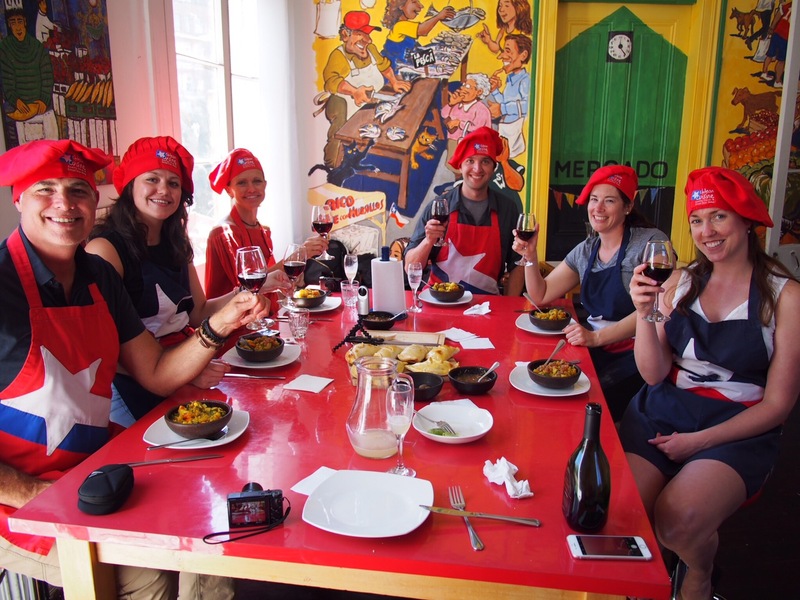 When you visit Argentina, grab a bottle of malbec or a half-kilo of mate and make some amigos!